2016 was a record year for HIPAA settlements, but 2017 is looking like it will see last year’s record smashed. There have already been six HIPAA settlements announced so far this year, and hot on the heels of the $31,000 settlement announced last week comes another major HIPAA fine. A $2.5 million settlement has been agreed with CardioNet to resolve potential HIPAA violations. 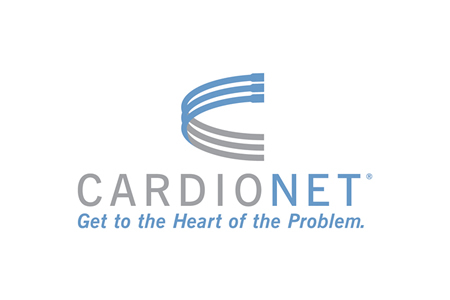 CardioNet is a Pennsylvania-based provider of remote mobile monitoring and rapid response services to patients at risk for cardiac arrhythmias. Settlement have previously been agreed with healthcare providers, health plans, and business associates of covered entities, but this is the first-time OCR has settled potential HIPAA violations with a wireless health services provider. While OCR has not previously fined a wireless health services provider for violating HIPAA Rules, the same cannot be said of the violations discovered. Numerous settlements have previously been agreed with covered entities after OCR discovered risk analysis and risk management failures. In this case, the settlement relates to a data breach reported to OCR in January 2012. In 2011, an employee of CardioNet left a laptop computer in a vehicle that was left outside that individual’s home. The laptop computer was stolen, resulting in the impermissible disclosure of 1,391 patients’ electronic protected health information (ePHI). As is customary following all breaches involving the theft or exposure of more than 500 individuals’ PHI, OCR conducted an investigation to determine whether the breach was a direct result of violations of HIPAA Rules. In this case, a risk analysis has been performed, but OCR investigators determined that the risk analysis was not comprehensive – a violation of 45 C.F.R. § 164.308(a)(1). Also, at the time of the breach, there were inadequacies in CardioNet’s risk management process. By 2011, all HIPAA-covered entities were required to comply with the HIPAA Security Rule, yet CardioNet’s HIPAA policies and procedures were still only in draft form and had not yet been implemented. OCR requested final copies of policies and procedures covering the safeguarding of ePHI stored on mobile devices, yet CardioNet was unable to produce any HIPAA-compliant documentation regarding the implementation of ePHI safeguards for mobile devices. CardioNet was also determined to have violated 45 C.F.R. § 164.310(d)(1) by failing to implement policies and procedures covering the receipt and removal of hardware containing ePHI and for the failure to implement encryption – or another equivalent safeguard – to prevent the exposure of ePHI stored on mobile devices. Any laptop computer or other mobile device that is used to store the ePHI of patients is vulnerable to theft or loss. When those devices are removed from the premises of a HIPAA-covered entity, the risk of theft or loss increases considerably. Covered entities must therefore implement appropriate safeguards to ensure that in the event of loss or theft of those devices, ePHI remains protected. The latest HIPAA settlement should send a strong message to covered entities that the failure to comply with HIPAA Rules can prove very costly. Also, that it is not only hospitals and health plans that run the risk of a significant financial penalty for failing to comply with HIPAA Rules.